There's a brand new challenge blog that has just started and looks very interesting to me, so I thought I'd join in with it. It is called "Less is More" - they aim to promote the making of classic Clean and Simple cards, with different challenges each week to help stimulate your imagination. The first colour challenge is - Black, white and pink. Like I said the stamp is called Beaded Bodice and was made by Stampendous many years ago, I don't even know if they still make it, all I know is that I love it and it will always be one of my favourites. 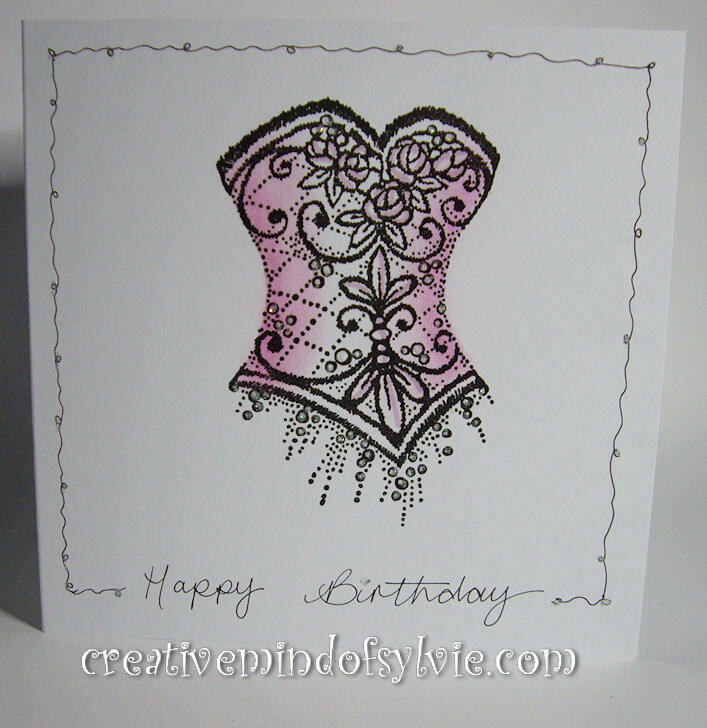 After stamping it directly onto the card, I masked the bodice and shaded with pink pastels then added specs of glamour dust to give a sparkle to it. I doodles around the edge of the card and wrote the message myself. What a wonderful card and a fabulous image! Your treatment of it is stunning! I'm so glad you found us and I hope you'll be back next week! 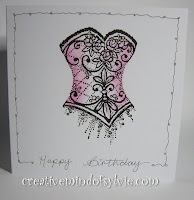 Lovely card Sylvie - and perfect for the Less is More challenge. Love the way you've coloured your image. I've seen that stamp - wanted it for years and never seen it to buy. Your card is fabulous.Thanks for the link to the new challenge site. I used to have this stamp, I lent it to someone...well I don't have it now! Wow! Love that stamp. Love your card. Wow talk about less is more, fantastic!